I remember when I first saw Native shoes, I thought they were nothing more than glorified Crocs (and who wants to be associated with those?!) I ended up purchasing a pair - if nothing else, I was intrigued. After wearing them for a year, I have to admit, they are one of the most comfortable pairs of shoes that I have ever worn. In fall - the brand has continued to grow - and offers new models in bolder/brighter colors than ever before. 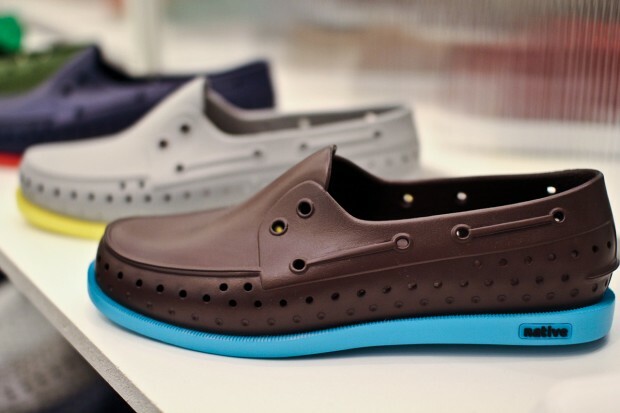 Trust me - these aren't your grandma's crocs. Jay-Z/Roc-A-Wear Purchases Billionaire Boys Club? Air Jordan 11 (Concord) Re-Release Date Set!